Hey there! 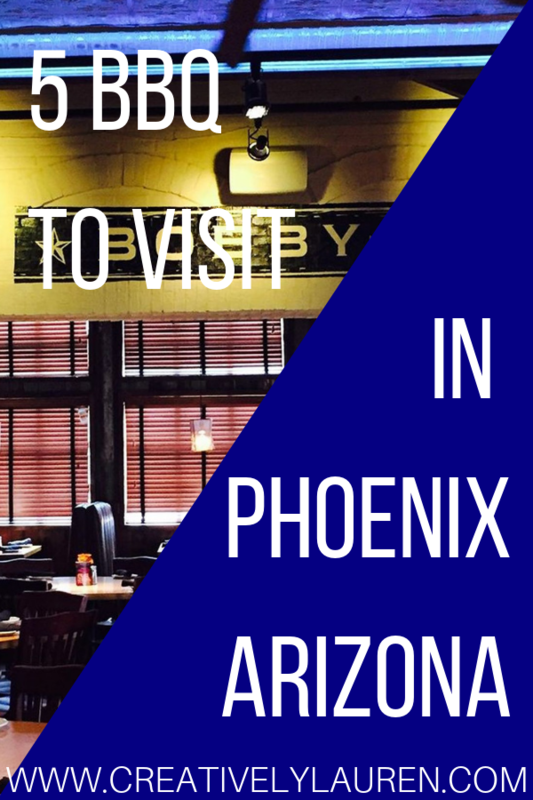 Today I want to share a foodie post about Phoenix! I love sharing the awesomeness that is Phoenix, Arizona! 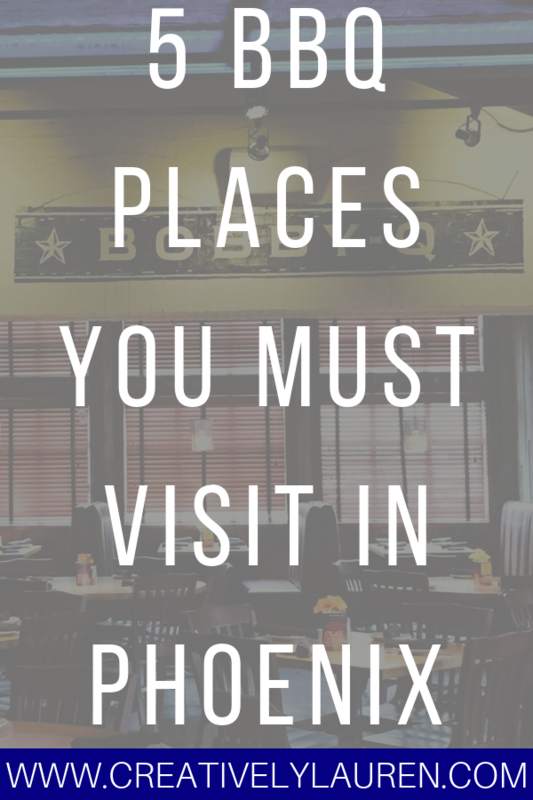 A lot of people think Phoenix is just an oven and there is nothing exciting, but that’s not true! 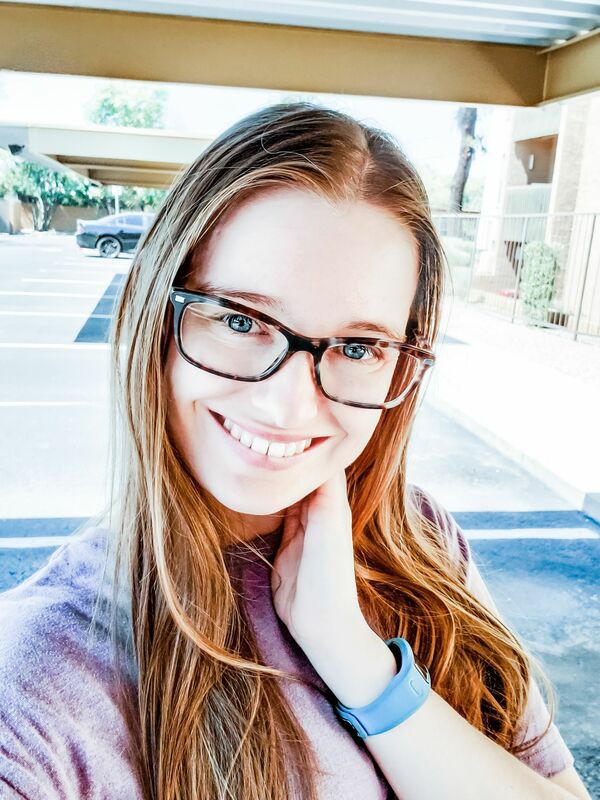 This is actually one of the best times to visit Arizona, because the weather is nice and cool right now. Plus, we have some awesome places to eat here. 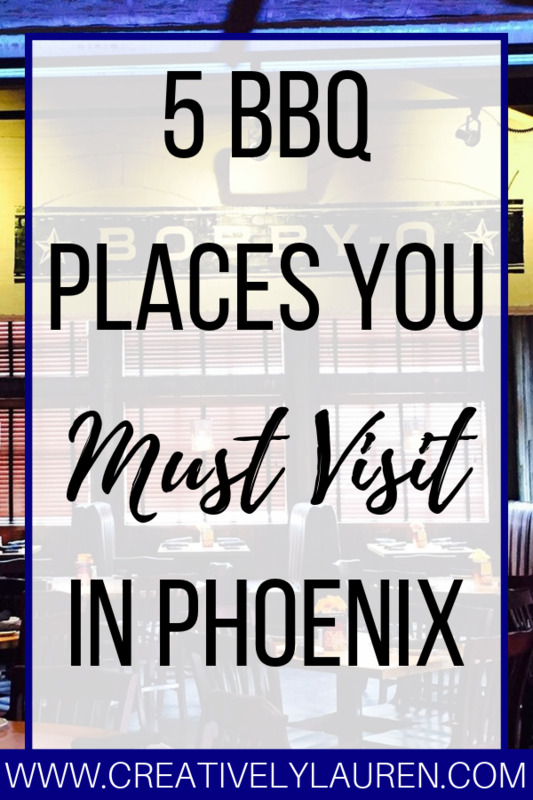 Phoenix does have some good BBQ spots, for being in the desert. 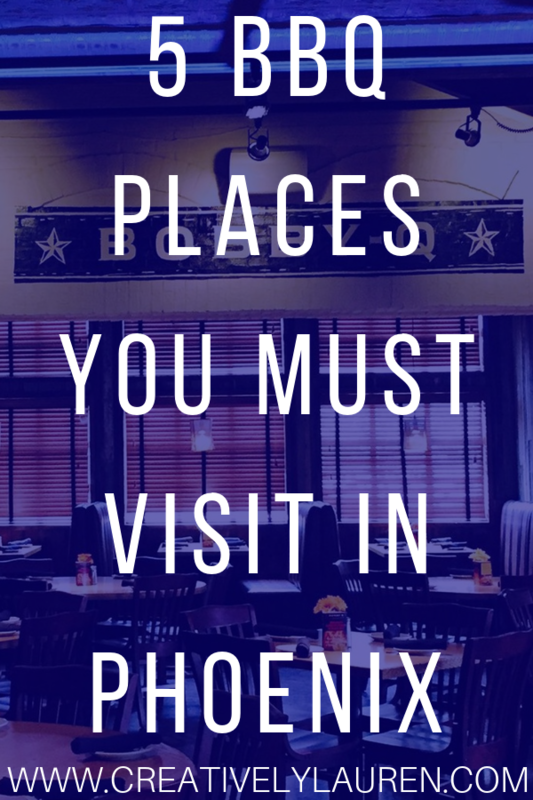 These places are highly recommended, and you should definitely try at least one of them on your next visit! Some of these places have a couple of locations in the metro area, some only have one location. 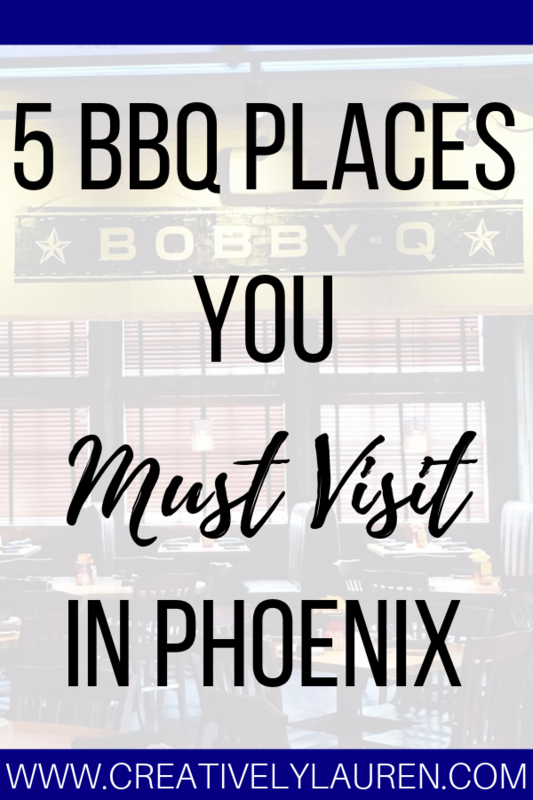 Bobby Q is my favorite BBQ restaurant in Phoenix! They have good food, good atmosphere and friendly staff. If you’re looking to go on the weekend, then I highly suggest making a reservation because it will be packed. Even if you don’t make a reservation, there will be a wait, but it is worth it! One personal recommendation I want to make is to try their Q rolls, they are so delicious. They are considered an appetizer, so don’t fill up on them! 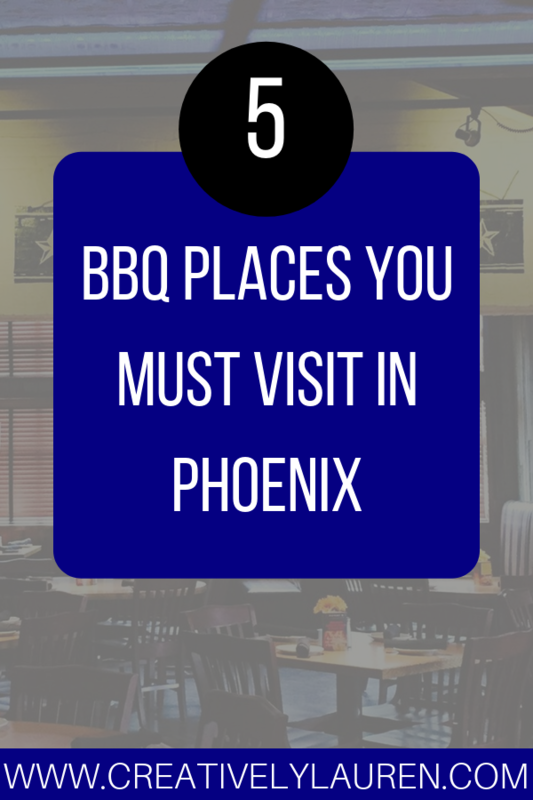 Little Miss BBQ is another Phoenix favorite! Their food is so savory and delicious, you will be stuffed and satisfied. Here’s the thing though, they’re only open from 11am to 4pm, so basically lunch and early dinner only. That’s because they make everything that day and when they run out of meat for the day, that’s it. So get there early because there will be a line before they even open their doors! Hog Wild is another Phoenix hit! They serve their slow smoked pit barbeque everyday 11am to 8pm. They are definitely a good bang for your buck in Phoenix. Great food for an affordable price. It’s definitely not a sit-down kind of restaurant like Bobby Q, I would say it’s more like a casual restaurant. Walk in and order what you want, you can sit there and eat, but you’re not waited on. This spot is in central Phoenix, about five miles north of Sky Harbor airport. If you’re looking for country eating, then Rudy’s is the place for you! 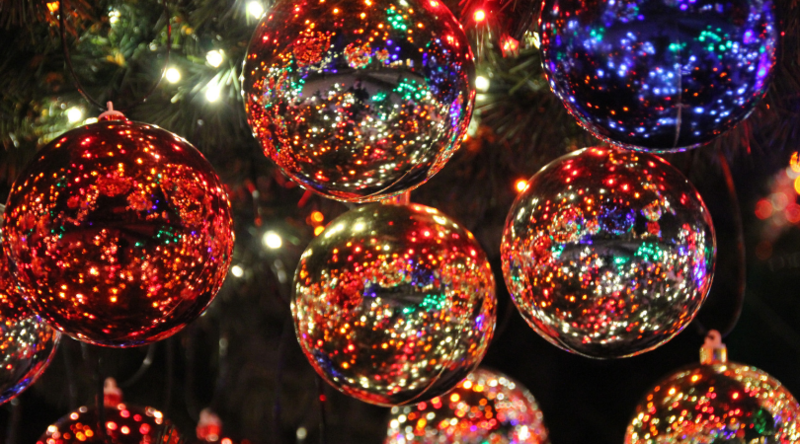 It has a country store attached to the restaurant, which is perfect for families looking for some fun! This spot feels like you’re at a family cookout. There are long communal tables, you order at the counter then go and self-serve your pickles, onions and grab your silverware. The atmosphere is definitely fun and welcoming. The food is delicious and the portions are great for the price. Now, this restaurant is in Chandler, which is in the southeast part of metro Phoenix. So if you’re staying in that area, definitely check it out! What are some of your local BBQ spots? Let me know in the comments!